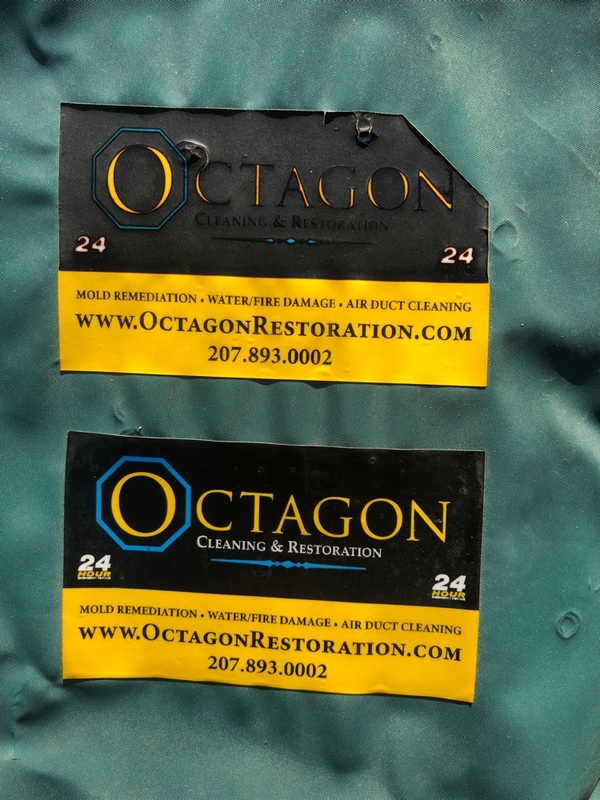 These labels have been sitting on top of my hot tub cover for almost a year now and counting. I am in Tucson, Arizona and these labels were placed in an area where they receive most of the Arizona sun and have already survived their first summer. The top label has no lamination, so it did not fare so well. The bottom label has barely faded from the original look and shows little sign of wear. The UV lamination we use is very high quality and rated for many years of outdoor use. 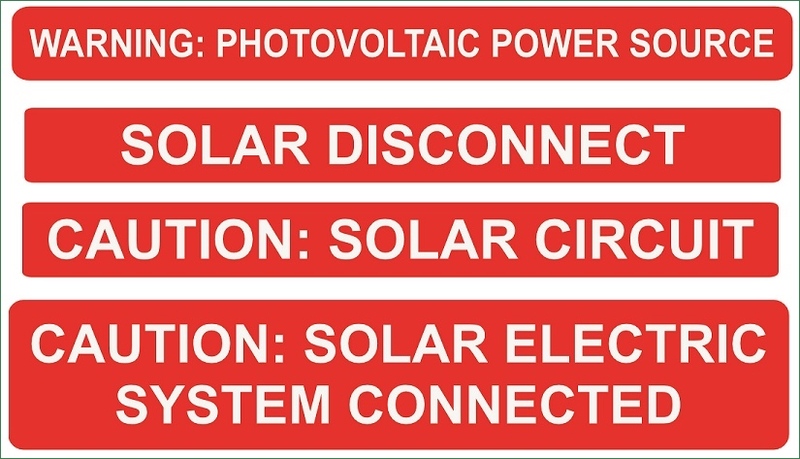 These labels have been pretty much in the worst case scenario situation. Under normal circumstances, I would not even recommend placing any label horizontal on the top of a surface that sees daily sunlight exposure. They should be placed vertically on the side where they will see the least amount of sun, but as you can see, even if you have to break this rule, you will be ok for a while. Our glow in the dark (Glo Brite) label material is our newest and probably our most unique material to date. After an initial 5 to ten minute charge to light, it will glow in the dark for up to 8 hours. The material glows its brightest for about the first hour, then begins to taper off. Usually around 30% after the first hour then on down to 5% overthe next 7 hours, give or take. This material meets or exceeds ASTM standards for building, marine, and rail applications. The photo below shows the progression from exposure to light (1) to the initial exposure to darkness (2) then after 1 hour in the darkness(3). It is hard to capture this on a camera. Even in practical applications, it takes time for your eyes to catch up in the dark and the brightness of the material. It is best to limit the amount of print coverage on this material since it will block out the glow in the dark exposure. This material is also not meant for long term outdoor use. This material is not meant to be used for novelty glow in the dark stickers. It is a heavy duty material with a strong adhesive and is best suited for when the lights go out and you need whatever light you can to evacuate a building, find a fuse box, hallway, doors, etc. Finished labels are supplied on sheets and can be turned around in just a couple days in most cases. Samples are available for serious inquiries. 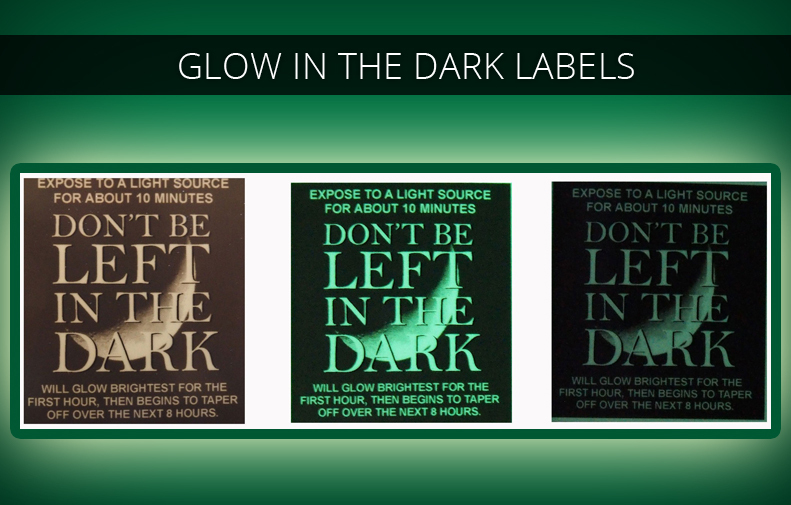 For technical information about GLO Brite glow in the dark media, please click here. For best adhesion, it is recommended that you apply the labels with firm pressure to a clean surface (91% isopropyl alcohol works best) I know most people wont go to that extreme, but if there is any dirt, grease, fingerprints on the surface, it could affect how well the labels stay on. On most surface, the longer the labels are on, the better they will stick. Remember though, they are just labels. If someone wants to take them off they will come off. © Copyright 2018, Imprints - Inventory - Asset- Security - Temper Proof - Labels. All Rights Reserved.